Personal constituent services are a top priority for Councilor Russell. to contact him with questions or issues they would like addressed. 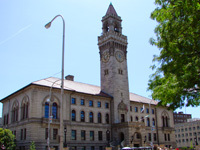 You may call Councilor Russell on his direct City Hall Telephone 508-963-6320.